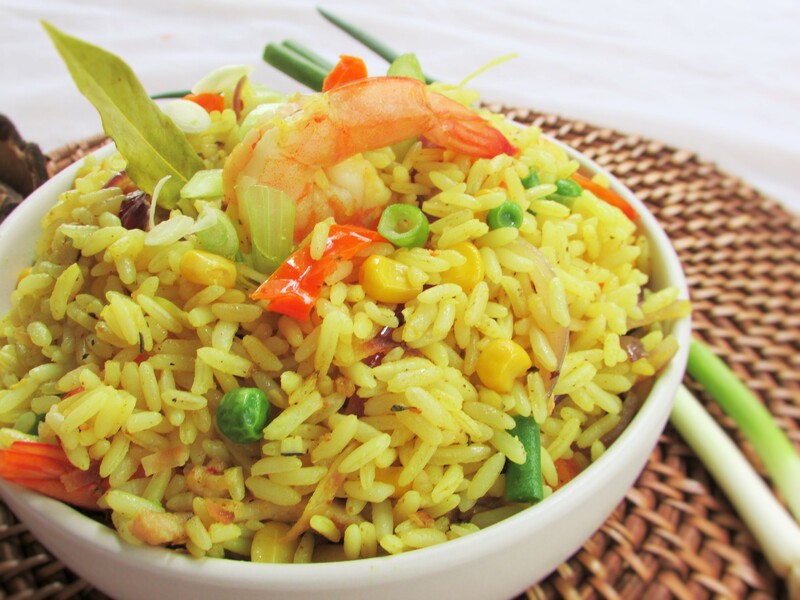 I did a fried rice post last week and I promise you it was a hit. This dish was born some years ago and have only modified it a little as I have cooked it so many different ways and I enjoyed it each time. With my coconut obsession, I seem to put it in almost everything. I really hope that you share this dish with your loved ones. 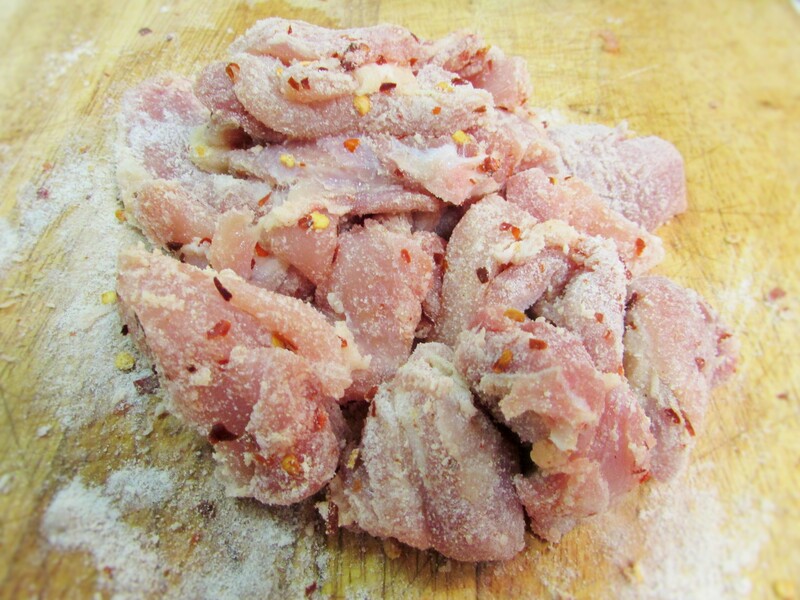 Cut and season chicken with, salt, the corn meal/flour, the chili flakes and set aside. 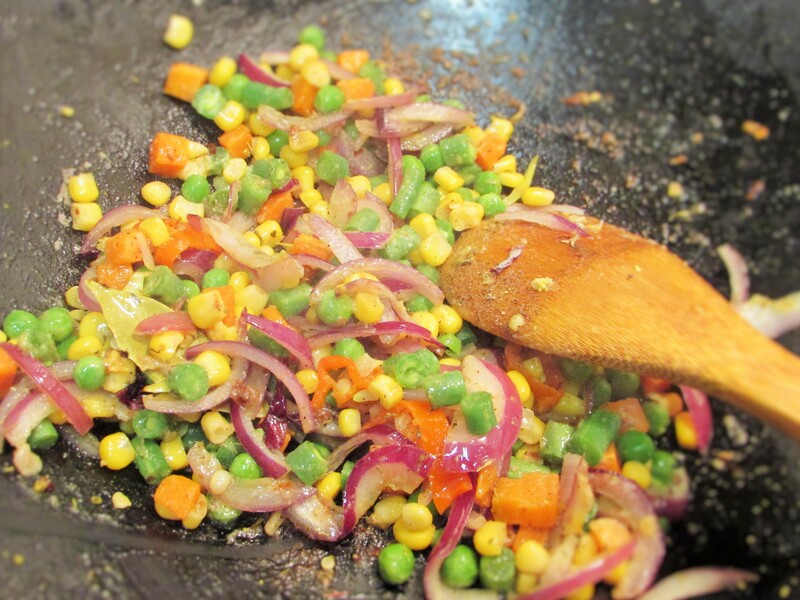 heat up a wok, pour in a tbsp. of coconut oil and toss in the chicken. 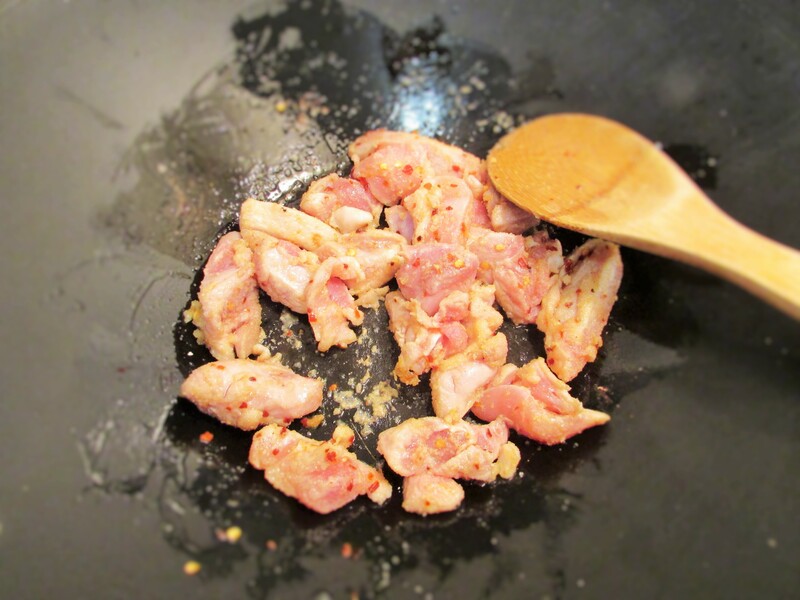 While stirring fast to prevent burning, fry until golden brown. Once brown and cooked through, drain on a paper towel. You should have a little oil left in the wok for the shrimp. Quickly stir fry the shrimp until pink then set aside. 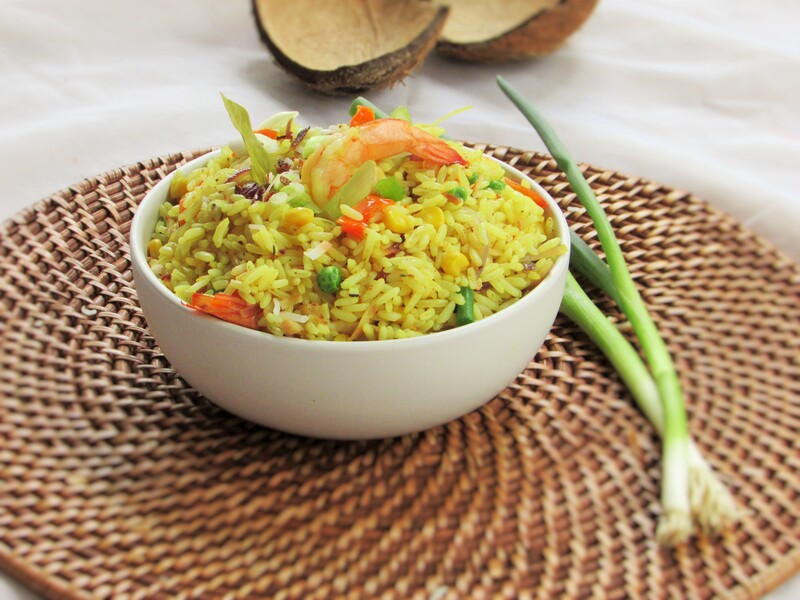 This entry was posted in Coconut Fried Rice, Coconut Rice, Nigerian Fried Rice, Nigerian Rice Recipe, Rice Dishes, Uncategorized and tagged coco nut rice, coconut fried rice, coconut fried rice recipe, coconut rice, coconut rice and chicken, Coconut rice and shrimp, Coconut rice dish, coconut rice recipe, Nigerian cocnut fried rice recipe, Nigerian coconut fried rice, Rice and coconut. Bravo! 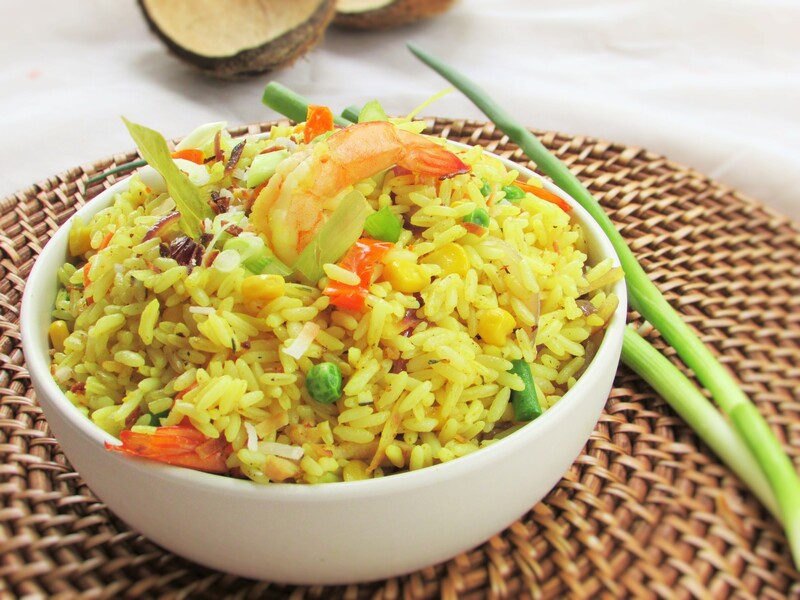 Though i’m lazy,but not on cooking especially giving a try on new recipes..can i skip turmeric and shrimp in this recipe plz? 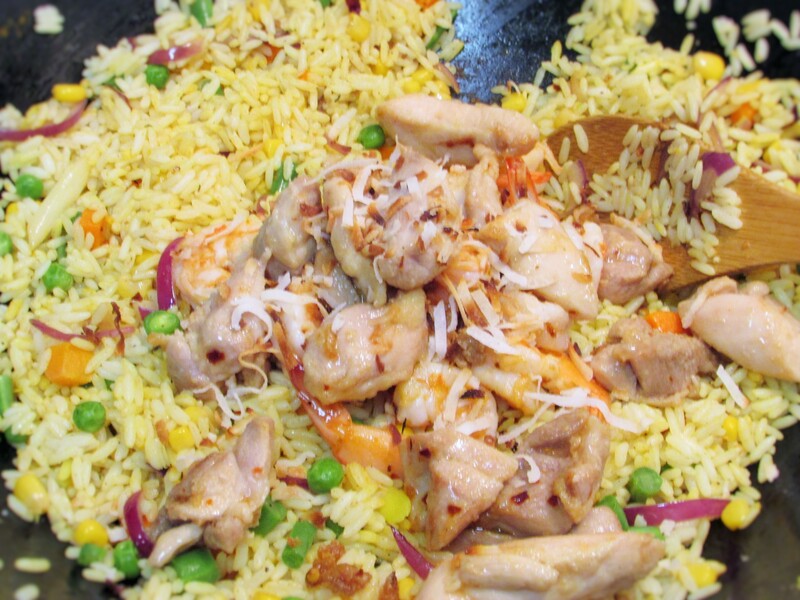 this is lovely BMA,please I need more of ur receipes,pls was d chicken marinated? Thank you Omuwa. GOD Bless you Abundantly! Thank you Yusuf. GOD Bless you Abundantly!